Take a glimpse into a single box from the Walker-Johnson collection, and you find yourself instantly transported to life on an 1872 settlement in Davey, Nebraska. Look a little further and you discover letters, photos, business documents, and journals that combine to form an extensive web of details about this Danish-American family. 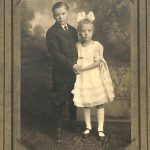 The collection centers around the lives of Anker Johnson and Marion Johnson Walker, who were siblings and eventually lived together on the family ranch in Solvang, California. Some of the collection’s materials date back to the experiences of Anker and Marion’s parents, Henry and Mary Johnson, and even their grandparents, John and Marie Johnson, who originally immigrated to Nebraska from Denmark in 1869. By 1910, some of the family had ventured west and aided in the establishment of Solvang, a Danish community in the Santa Ynez Valley of California. Marion Johnson married Philip Walker, and they had one son, David, in 1943. Shortly thereafter, Phil was sent to the Pacific during WWII. The collection contains hundreds of letters from his deployment, including his letters home to Marion and also her reciprocal letters back to him. This rare two-way correspondence exists throughout the four-generation collection. After Phil and Marion divorced in the 1950’s, she eventually returned to live with Anker, who had remained on the family ranch in Solvang. David married Sonja Hansen, and they had three children of their own. It was this generation that initiated the substantial donation of materials to the Archive in 2006 after Anker and Marion had both passed away. The entire family takes great pride in their Danish heritage and continues many of the traditions from their Danish immigrant ancestors. Philip Walker’s letters were marked up or sometimes cut up by government censors. Marion’s letter reflects some of the frustration and strain of not knowing whether her husband is doing well. Rationing played a big part in the lives of civilians during the war. Anker and Marion’s great-grandparents who emigrated from Denmark in 1869. 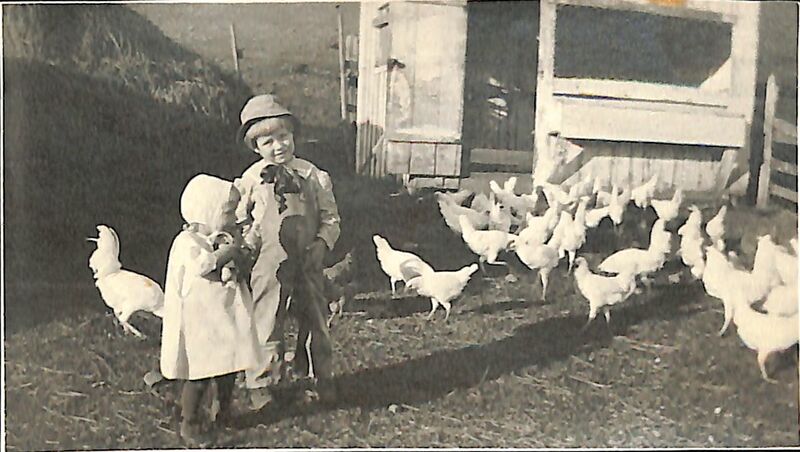 Young Anker and Marion Johnson feed the chickens on the family farm in Solvang, California. 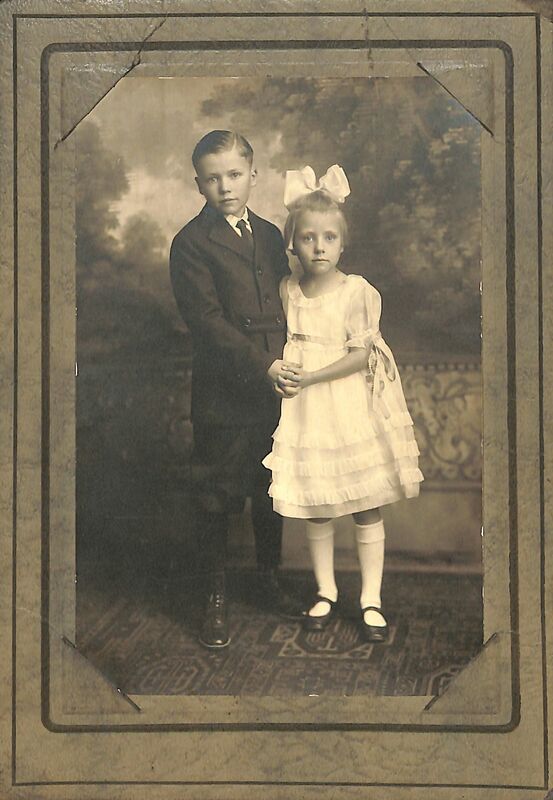 Formal portrait of brother and sister Anker and Marion Johnson circa 1920.